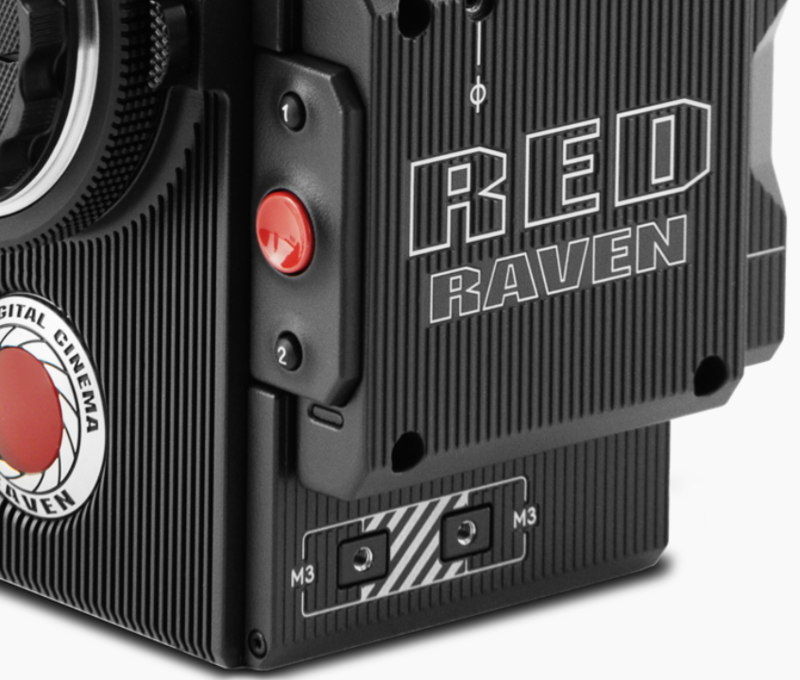 RED have officially announced the Raven, a compact 4K camera that uses a RED Dragon sensor and weighs just 3.5 lbs (1.58kg). The Raven can shoot 4K at up to 120fps and 2K at up to 240fps. It can record in either Redcode RAW or, importantly, Apple ProRes in 422, 422 LT, or 422 HQ variants. 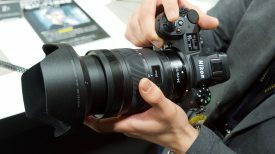 The camera ships with an integrated Canon EF Mount, media bay and the fixed Dragon standard optical low pass filter (OLPF). Ship date is listed as February 2016. RED are claiming 16.5+ stops of dynamic range with its established colour science and ultra clean detail. RED also claim that the Raven will offer best-in-class image quality. It is nice to see RED include Apple ProRes recording options – it would have made little sense to develop a camera with the tagline ‘4K for all’ that only allowed recording in RAW. And a nice feature on the Raven is the ability to simultaneously record in RAW and ProRes, although it’s important to note that the RAVEN only records ProRes at up to 2K 60fps. If you want to record in 4K you have no choice but to use Redcode RAW. The lowest Redcode RAW Compression Ratio is 3:1 if you’re shooting 24P. 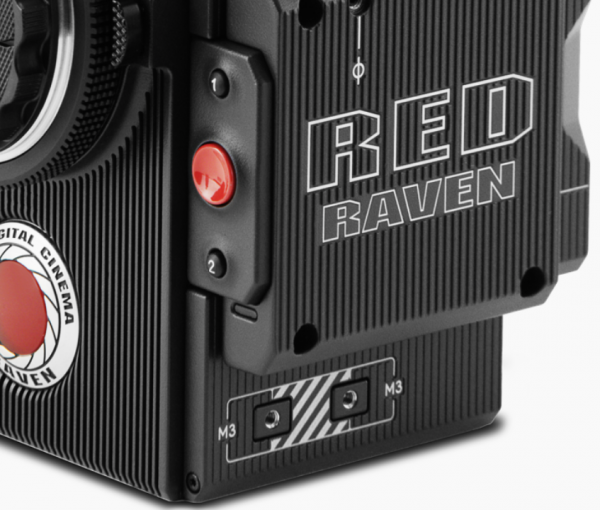 While RED is playing up their ‘4K for all’ campaign and the camera’s $5,950 US price tag, a working Raven kit is going to cost you around $10,000 US. That’s still a lot of money and puts it right up against the popular Sony FS7. If you are looking at using the Raven on a drone or gimbal you could save some money by not buying a monitor and using WiFi control to change camera settings – some ARRI Alexa MINI operators work in this way. 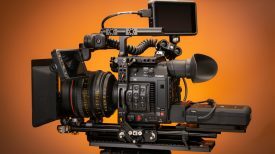 The new FS5 and Blackmagic URSA Mini 4.6K cameras (which are still to ship) will cost a lot less to get up and shooting, but of course these cameras offer a different feature set and levels of functionality. According to RED, the RAVEN gives you the ultimate blend of flexibility and performance. Whether shooting for documentaries, online content creation, indie filmmaking, or with drones and gimbals—RED RAVEN’s durable, lightweight construction is ideal for any situation. The only real downside I can see is the crop factor when compared to full-frame 35mm is 1.87x, unlike the higher end RED Weapon and Dragon. Raven’s format size is larger than Micro Four Thirds in width, and just a hair narrower than Academy 35mm and APS-C. As the Raven uses a fixed EF mount, you can’t use any type of Speedbooster on the camera, which will make getting wide shots a challenge. You will also be forced into using expensive RED MINI-MAGs. If you plan on recording Redcode RAW you are going to need quite a few mags. For news and documentary shooters the RAVEN does offer a compact and small solution, but it does have some limitations. Recording audio is not nearly as user friendly as solutions offered by Sony, Blackmagic and Panasonic. Also it is important to remember that the RAVEN has no internal neutral density (ND) filters so you will be forced to use variable ND, or fixed NDs in a matte box. The fixed Canon EF mount is both a positive and negative of the RAVEN. A lot of shooters already own Canon EF glass, but the inability to change the mount could potentially put some buyers off. In the company’s defence there are quite a lot of lenses that can be adapted to the Canon EF Mount through simple adapters. This allows you use lenses like Leica-R, Olympus-OM and Nikon-F to name a few. 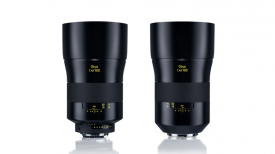 Zeiss CP.2 and Compact zoom lenses are also an obvious choice thanks to their interchangeable mount system. Despite these limitations, for just under $6k US you are getting a RED DRAGON sensor, high frame rate capability and a lot of recording options. 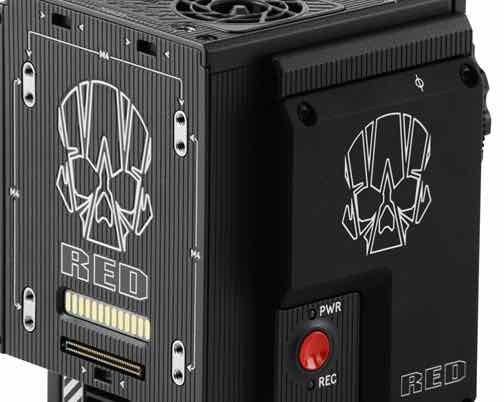 RED are hoping the Raven will give aspiring shooters an affordable entry into the RED ecosystem, that will eventually allow them to move up to the company’s more expensive offerings. While the ‘4K for all’ slogan might be a bit of a stretch, it is good to see RED pushing a sub-$10k US camera. The more competition there is, the better it will be for all of us consumers. Harnessing the revolutionary RED DRAGON sensor, shooters are able to get the perfect shot every time. 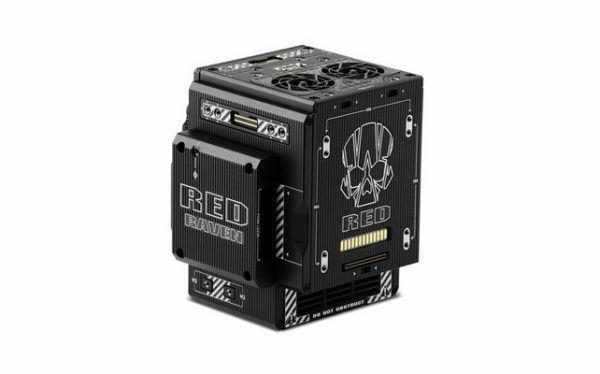 Capable of capturing footage with REDCODE® RAW in 4K at 120 fps or in 2K at 240 fps, RED RAVEN is built to shoot exceptionally high-speed, high resolution content. Boasting RED’s incredible dynamic range, ultra-clean detail, and renowned color science—RED RAVEN gives you best-in-class image quality. RED RAVEN provides options tailored to your preferred workflow. RED’s innovative recording format, REDCODE RAW (R3D), enables shooters to maintain visual integrity throughout post-production with non-destructive editing capabilities. Compatible with most professional-grade editing programs, REDCODE RAW easily adapts to your preferred system. Shooters can further their flexibility with simultaneous capture options in both R3D and Apple ProRes 422, 422 LT, or 422 HQ. 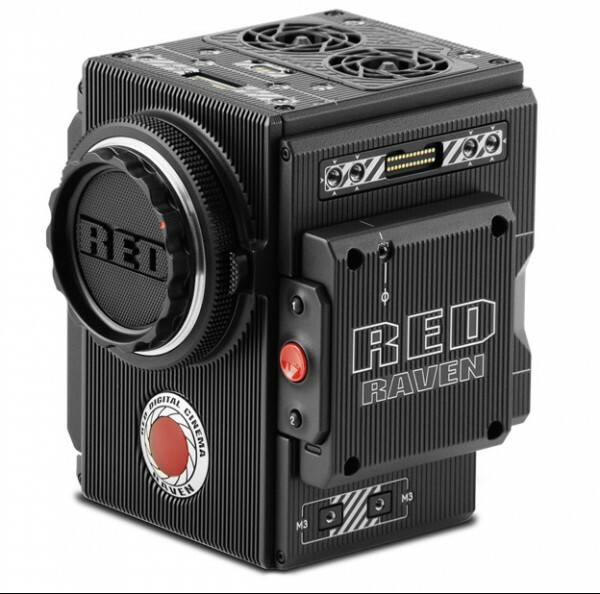 RED RAVEN boasts the full capabilities of the RED DRAGON sensor family in our smallest form factor to date. Weighing in at just 3.5 lbs, RED RAVEN gives you the ultimate blend of flexibility and performance. Whether shooting for documentaries, online content creation, indie filmmaking, or with drones and gimbals—RED RAVEN’s durable, lightweight construction is ideal for any situation. RED RAVEN, with an integrated Canon EF Mount and media bay, has package options that include everything you need from the moment you open the box. Even if you’re new to RED, you can immediately jump in the trenches and shoot with confidence. 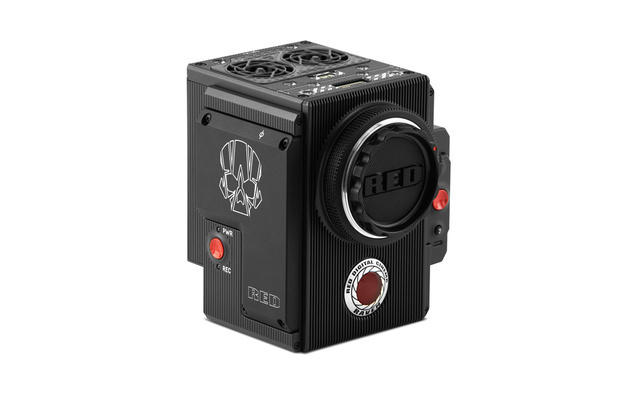 RED RAVEN™ delivers the creative flexibility and cinematic image quality that has come to be synonymous with RED®. RED RAVEN is an unprecedented 4K digital camera, ideal for the passionate and professional alike. Capable of capturing 4K resolution footage at up to 120 fps—or 2K at 240 fps—RED RAVEN harnesses the raw power of the RED DRAGON®, DxOMark’s highest rated sensor ever. Take advantage of the renown color science and unmatched dynamic range of the RED DRAGON sensor. And with the ability to record in REDCODE RAW (R3D) and Apple ProRes, simultaneously, RED RAVEN supports a wide range of trusted workflow options. Fully backed by an ecosystem of DSMC2™ Modules and the momentum of a thriving worldwide community of RED shooters, RED RAVEN ushers in a new age of creativity and accessibility. The RED RAVEN BRAIN® is constructed of robust, lightweight aluminum and—like WEAPON®—provides intelligent mounting points for cable-free peripheral attachment. RED RAVEN’s compact form factor also integrates a Canon EF Mount and media bay, supporting blazing fast RED MINI-MAG® SSDs. Other accessories, such as modules, media, power, monitors/displays, and mounting equipment are sold separately. RED RAVEN will begin shipping in February 2016, and deposits will be accepted beginning today. Customers will be given a choice of purchasing the BRAIN only and building a kit that best fits their needs, or choosing a complete package. The RED RAVEN Base I/O Package offers everything content creators need to take their productions to the next level of image quality and professionalism, while the RED RAVEN JETPACK Package is specifically designed for use with handheld gimbals, drones, jibs and cranes.